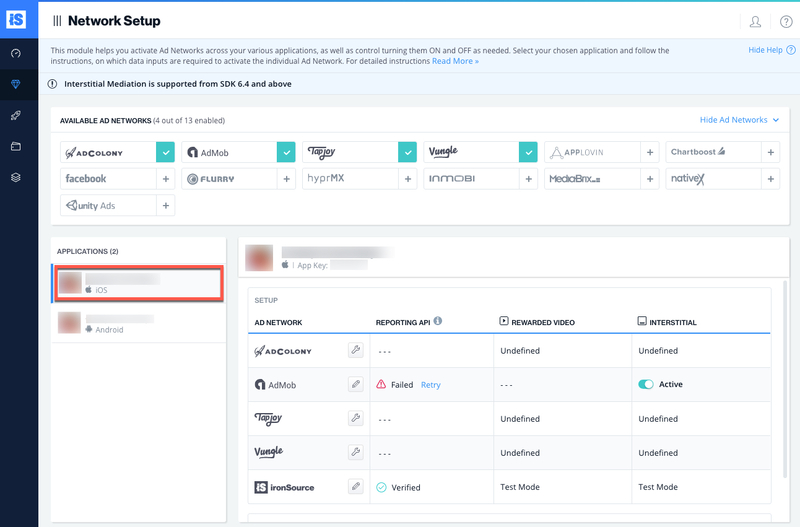 This guide will instruct you step-by-step on how to set InMobi live as an Ad Network on the ironSource Mediation platform. 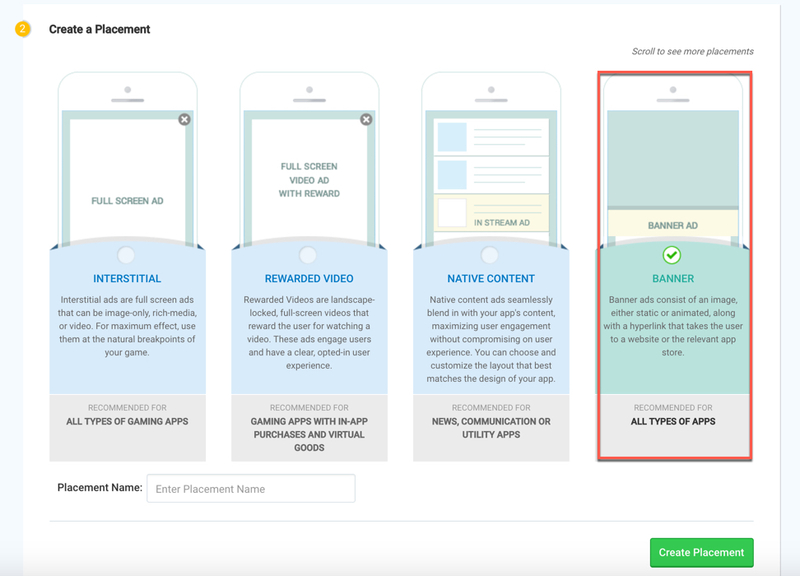 Make sure you have correctly integrated ironSource‘s Rewarded Video, Interstitial or Banner ads into your application. Create an account with InMobi. You can do so here. You can enter the URL of your app in the AppStore or Google Play and select ‘Look Up‘. You can then manually enter your application’s name and select its platform. 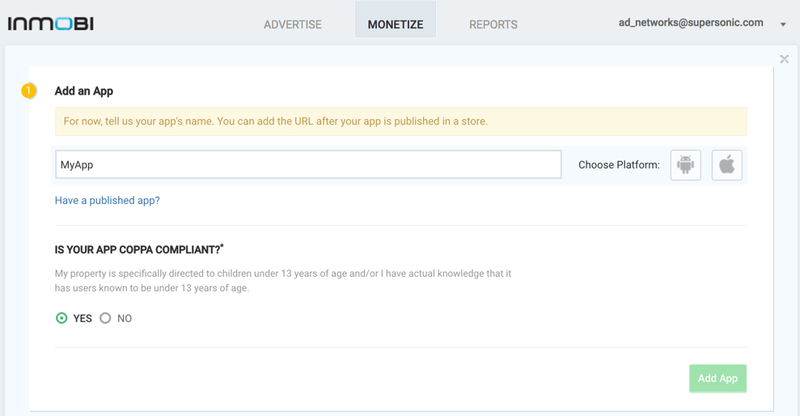 Check the box if your app is specifically directed to children under the age of 13 for specific filtering and targeting reasons. Once finished select ‘Add App‘. Note: You will need a unique InMobi application per platform (iOS + Android) just like you do with your ironSource account. 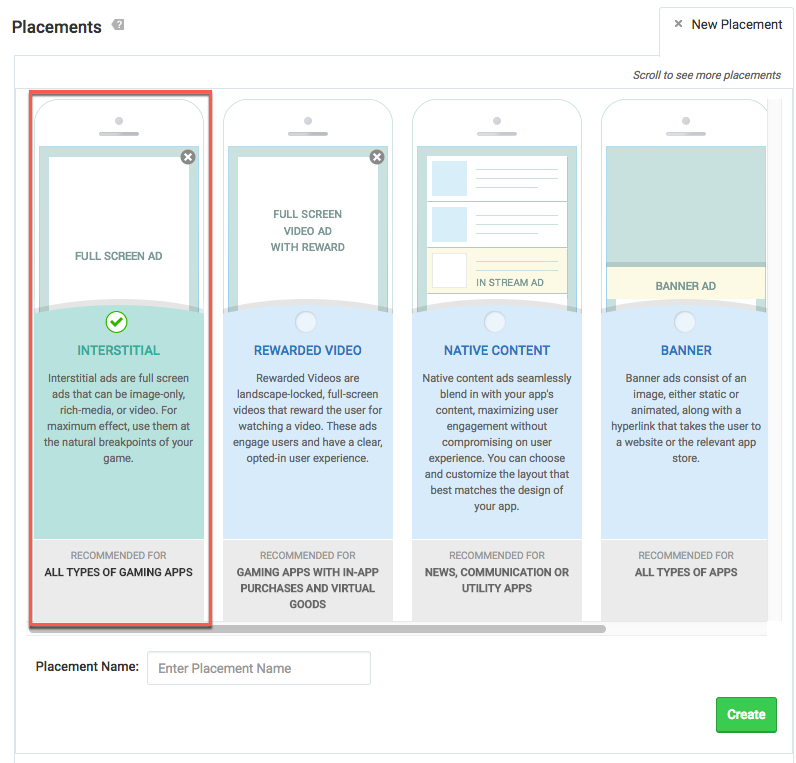 Once you have created an application, you must create a Placement. 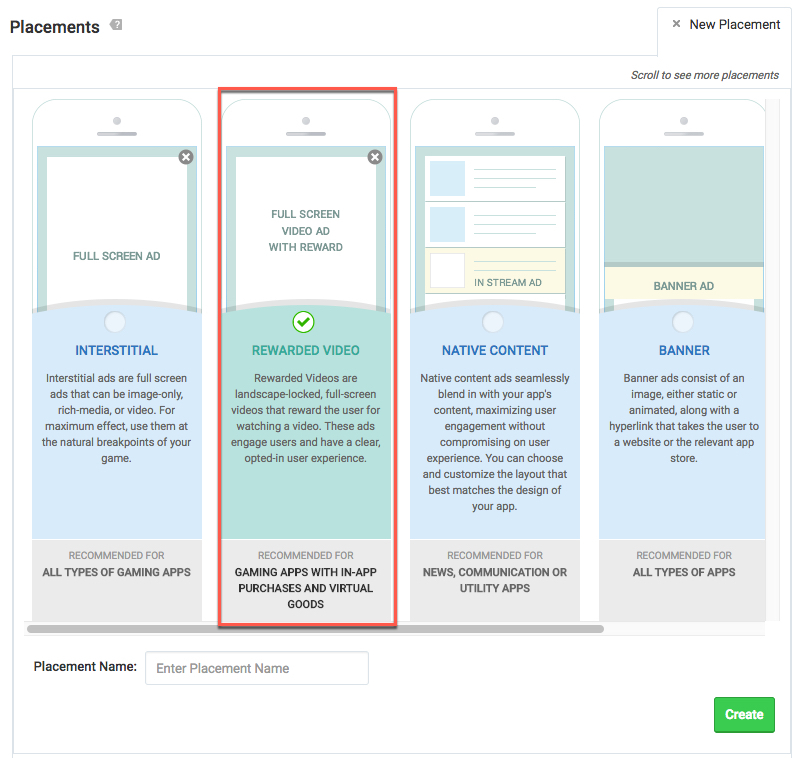 Placements are locations to which InMobi will deliver specific Ad-types. This will be the placement in your app where you have configured the ironSource Rewarded Video or Interstitial to trigger. The final section in the app setup is ‘Integrate and Test‘. 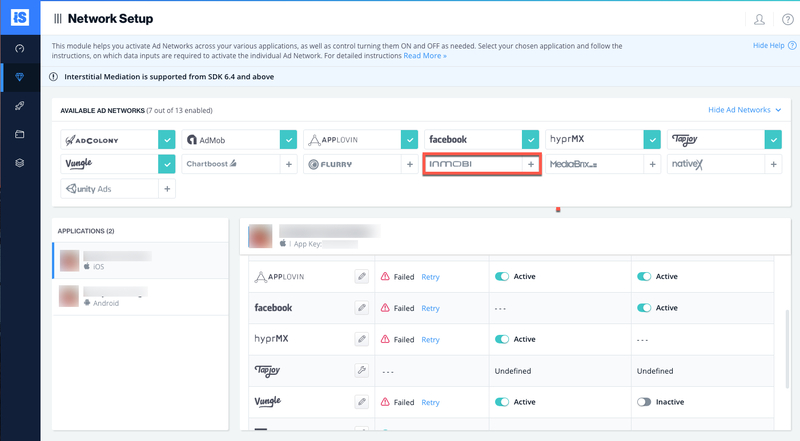 ironSource provides an Adapter for the InMobi SDK with all the code pre-written, so there isn’t any integration work you need to do at this stage. Select ‘ironSource‘ as your mediation platform and ‘None‘ as your development platform and proceed with ‘Done‘. Username This is the username you use to login to your InMobi account. 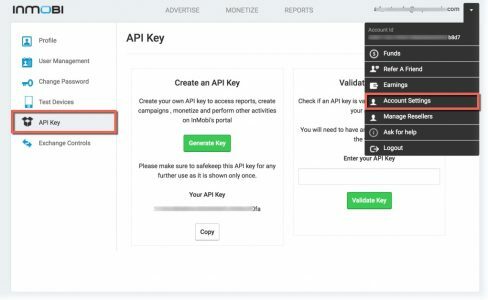 This is required for ironSource to access the InMobi reporting API for your account, which allows your ironSource Mediation Platform to import performance data from your InMobi account to use in reporting & optimization. Password This is the password you use to login to your InMobi account. This is required along with the username in order for ironSource to access reporting information for your account. API Key This is the unique key to verify requests made for reporting info. Account ID This is the unique identifier for your InMobi account. Placement ID This is the unique Placement to which InMobi will deliver ads to. Once you obtain this information, you must configure InMobi’s Parameters in your ironSource Account. 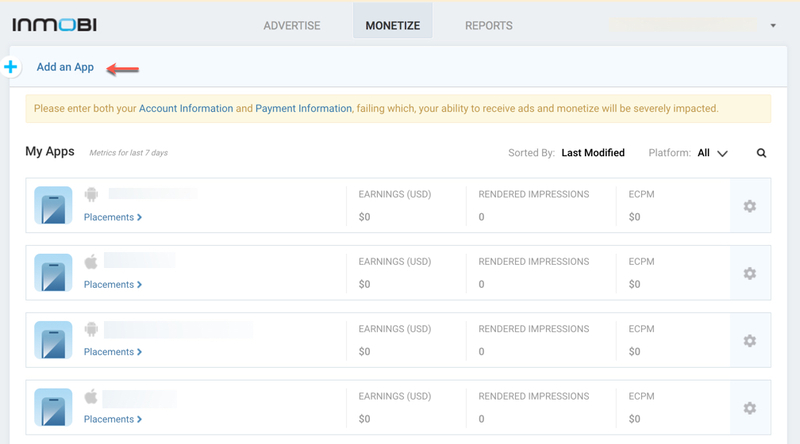 By adding the above parameters correctly, you will be able to take full advantage of InMobi’s ad inventory and reporting data on ironSource‘s Mediation platform. This is the username you use to log in to your InMobi account. This is the password you use to log in to your InMobi account. Once you obtain the above parameters, log in to your ironSource account. 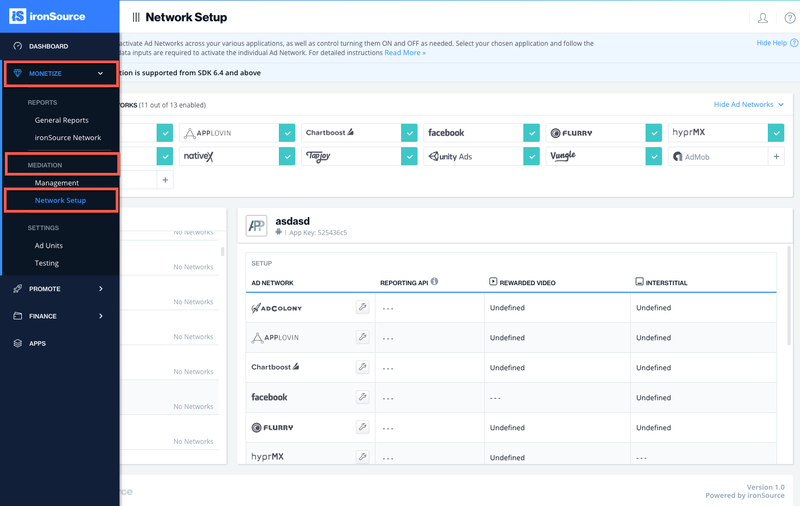 Go to ‘Monetize‘ ➣ ‘Mediation‘ ➣ ‘Network Setup‘. 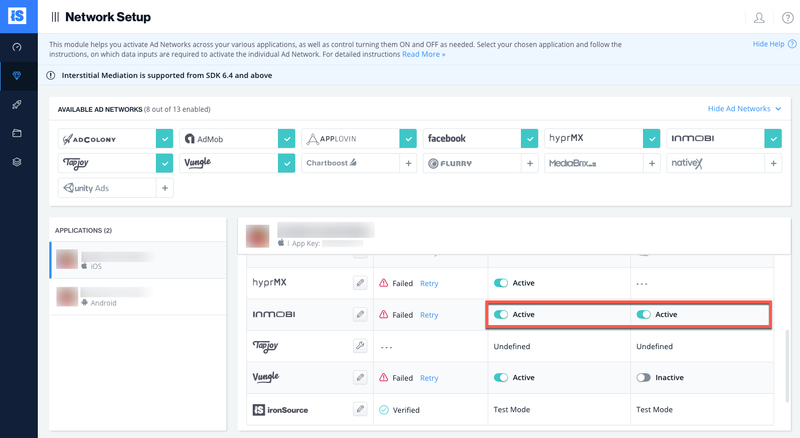 Select InMobi from the table of Available Ad Networks. Enter your InMobi ‘Username‘ , ‘Password‘ , ‘API Key‘ and ‘Account ID‘ in the relevant fields. Select the app on which you’d like to run ironSource’s Mediation with InMobi. Scroll down to InMobi from the Setup list of Ad Networks and click on the ‘Define‘ icon. 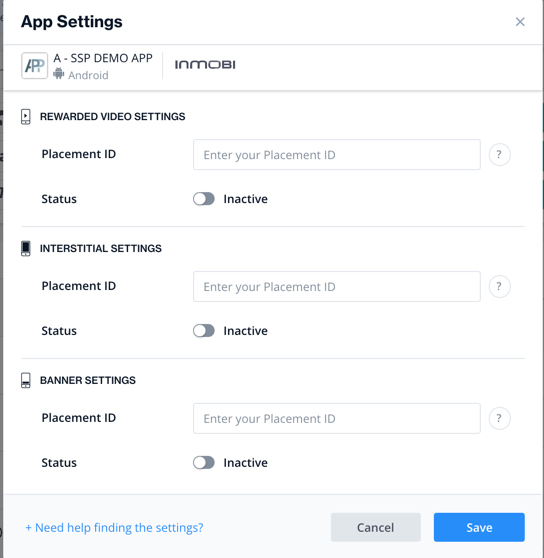 Enter the Placement ID, under the Rewarded Video, Interstitial or Banner Settings. Set status to Active and click ‘Save’. You will then see InMobi as Active for Mediation on your Setup Dashboard. To integrate the InMobi SDK with Cocoapods, enter the following line in your podfile and you’re good to go! 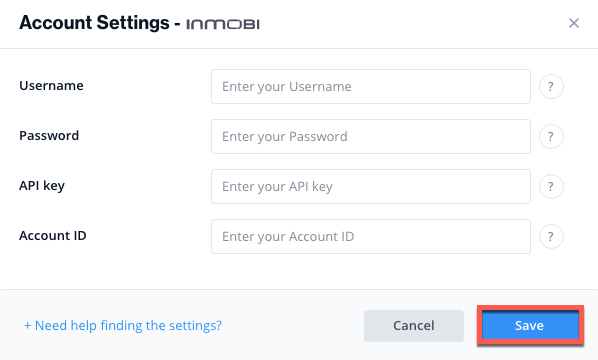 Add the InMobi Adapter to your build. You can find the latest InMobi Adapter here. Important! The InMobi Adapter also contains the InMobi SDK. 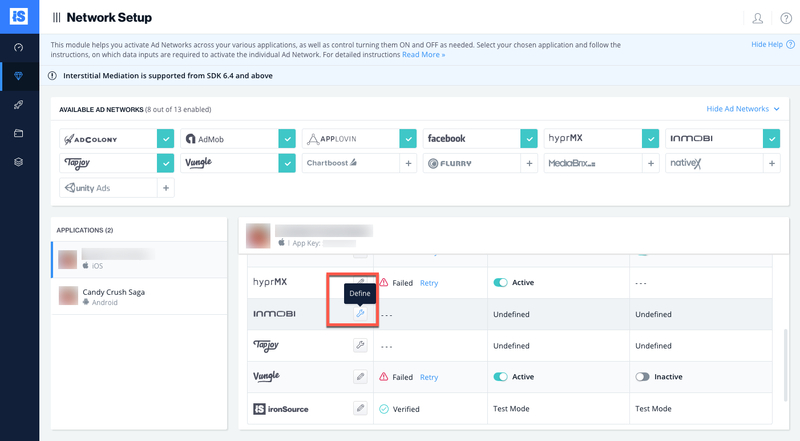 You DON’T need to add the InMobi SDK directly. After you download the Adapter, drop the Adapter framework into your Xcode Project, i.e. drop ISInMobiAdapter.framework into your Xcode project. You are now all set to deliver InMobi Ads through the ironSource Mediation platform!